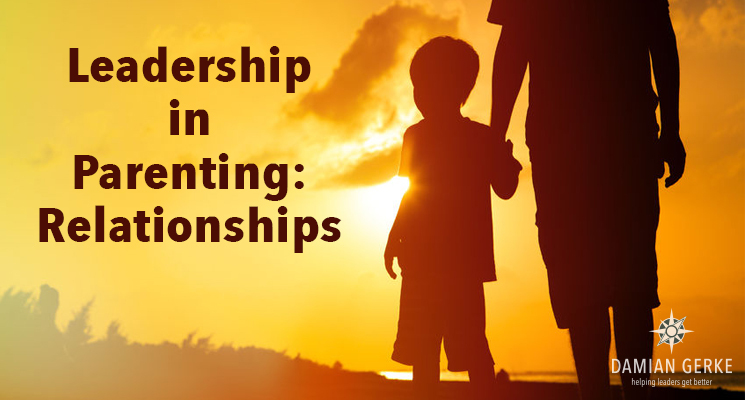 This series is about viewing parenting from the perspective of leadership and developing future leaders. Being a parent is the most basic—and vital—of all leadership roles, though it’s rarely thought of that way. Parenting is the single most challenging thing I’ve ever done. I wish someone would have oriented me to this perspective before I became a father. It would have helped me avoid being in reaction (or sometimes survival) mode and given me more vision on what I was doing and how I was doing it. I hope parents find it helpful. A common oversimplification about leadership is that if it’s producing results, it must be good. Leadership does produce results, of course, but for a certain class of effective leaders, it’s more about how they produce results that distinguishes them. The people following these leaders will tell you it’s the environment these leaders create, where people are esteemed, valued, encouraged and appreciated as well as challenged. There’s an expectation of excellence, but it’s connective, inclusive and collaborative. The effect is more pull than push, more drawn than driven. Trust is high. And people love being a part of it. It’s no accident. These leaders understand people and relationships. They are savvy about motivating, negotiating, giving and taking. They deftly hold people accountable. They’re artful at reading people. Effective leaders know the inestimable value of relational capital, and they grow it at a higher rate than average leaders. Effective leaders know the inestimable value of relational capital, and they grow it at a higher rate than average leaders. So where could these leaders develop that skill set? The relational environment you create in your home will set the tone for how your kids deal with relationships for the rest of their lives. The home is the perfect incubator for relational skill development. It’s where the value and quality of relationships are esteemed, nurtured and honed. How do you talk about people (your extended family, your own siblings, your neighbors, your other kids) when they’re not around? How quickly and easily do you say “I’m sorry” when you’re wrong? How judgmental or critical of people are you? How do you characterize the people you disagree with? Does everyone in your home trust one another—genuiinely? Why or why not? Are you as quick to give credit as to give critique when deserved? How do you discuss social issues like diversity, gender equality, political differences, etc. in a way that maintains people’s value? The home is the perfect incubator for relational skill development. How you demonstrate the value of people and relationships over time (think: What do you model as a parent)—positively or negatively—will play a huge role in your children’s ability to leverage relational capital when they get out in the world. What’s one thing you can do to strengthen the value of people and relationships in your home?